Karl reMarks: The Cabinet of Curiosities: Is Lebanon finally abandoning consensual politics? The Cabinet of Curiosities: Is Lebanon finally abandoning consensual politics? - Whatever happened to the Hezbollah Coup? Much was made of the fact that the resignation of March 8 ministers from the national unity government back in January and Walid Jumblatt’s withdrawal from March 14 represented an anti-constitutional coup that would hand Lebanon over to Hezbollah and allow it to pursue a ‘sinister’ political agenda. Such over-excited leaps of the imagination should have been put to rest when the cabinet failed to materialise amid intense rivalries among March 8 factions, and between March 8 and Mikati. The fact that this cabinet has only two Hezbollah members should dispel any lingering doubts. Hezbollah’s actions in the lead-up to the ministerial resignations were defensive in nature, primarily aiming to avoid the prospect of STL (Special Tribunal for Lebanon) indictments of some of its cadres. Hezbollah and its allies do not have a serious political programme to govern in Lebanon, a fact that is still widely ignored despite all the evidence. The recruitment of Mikati in particular for the Prime Minister’s job should have illustrated March 8’s desire to share power, but this choice was widely misinterpreted. If you believed the March 8 hype that followed the ministerial resignations, a new era of accountability and reform was about to be ushered in. The Free Patriotic Movement in particular was very vocal about this, emphasising its credentials as an ‘untainted’ movement that shuns the Lebanese political ‘game.’ Its critique of the political establishment encompassed the entire post-war period, focusing almost exclusively on ‘Harirism’ as the chief culprit, despite the fact that all its allies in March 8 had been major players in the post-war order. Harirism was loudly renounced as a corrupt ‘new-liberal’ project that aimed to privatise valuable state assets and impoverish the general population. It was curious then that the Prime Minister’s job was handed to Najib Mikati, a business tycoon who is actually wealthier than Saad Hariri, the man he replaced. 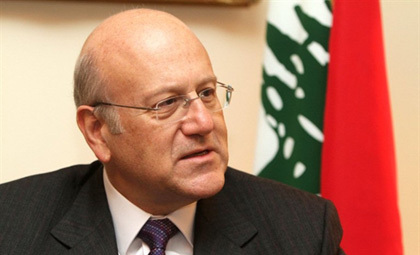 Mikati had also benefited significantly from the post-war political arrangements, both financially and politically. Given how incompetent Saad Hariri turned out to be as a political leader, Mikati in fact represented the ideal candidate to lead Harirism as a political and economic project. This primarily represents acknowledging the confessional division of labour that hands over economic leadership to key Sunni figures, with the support of wealthy Christian businessmen that are dependent on financing from the Gulf, and particularly Kuwait and Saudi Arabia. Despite the FPM’s and Hezbollah’s loud proclamations about the end of Harirism, Mikati’s appointment was in fact an attempt at rescuing Harirism ‘sans-Hariri’. In other words, let’s not rock the boat too much. Note that the major economic posts in Mikati’s cabinet have all went to businessmen and industrialists not economists or academics. With the visible decline of the Syrian regime’s authority at home and abroad, it’s worth considering what this statement actually means. Had the Syrian regime really considered the formation of the cabinet a priority, why did the process take so long among a group made up exclusively of its ‘allies’? Furthermore, with the caretaker government of Saad Hariri bending over backwards to accommodate the Syrian regime since the uprising in Syria started, and going out of its way to avoid confronting it, I wonder what the significance of a Syrian-influenced cabinet is. The one aspect that this reveals is how dependent the entire Lebanese political class is on Syrian patronage, to the extent that it has become entirely incapable of any independent decision making in the absence of clear signals originating from Damascus. The emphasis on the STL in this context is misplaced. For all intents and purposes, Syria has been exonerated by the STL leaving Hezbollah in the dock. It’s worth nothing that the West has declined to use the STL as a tool against the Syrian regime during the past few weeks when it was desperately looking for soft instruments to apply pressure. - It’s a one-sided cabinet. This is a really curious conclusion. It’s true that the new cabinet has excluded (remaining) March 14 figures, but it’s ludicrous to claim that it’s one-sided. The extent of horse-trading and compromise required to bring the cabinet into being was revealed shortly after its announcement with Talal Arslan declining to participate because he did not receive a portfolio. There is also talk of other possible resignations. Notably, many of the figures in this cabinet had been key figures in the post-2005 era. This owes more to the malleability of allegiance within Lebanese politics than to any solid conviction, as Walid Jumblatt’s frequent u-turns attest to. The obvious exception within this cabinet is the large number of portfolios handed to the Change and Reform parliamentary bloc led by Michel Aoun’s FPM. It is the one aspect of this cabinet that resembles a political statement of intent. But in truth, the large share the Aoun received is a poisoned chalice that no one else wanted. Given that Aoun’s alliance with Syria has become an embarrassment, he’s gambling on a solid performance in government to restore popular support. There’s little chance of this happening however in a weak cabinet that was brought into being more as a face-saving exercise than a bold grab at power. It is as divided and riddled with compromises as any of its predecessors, but Aoun is effectively running out of space to manoeuvre politically. I called this ‘the Cabinet of Curiosities’ because in many ways it breaks away with convention to overcome the paralysis in the Lebanese political system and the failure of March 8 to offer a solid programme of governance. The unequal number of Sunni and Shiite minsters is one of those ‘innovations’, dispensing with the token gesture of appointing women ministers is another. The one distinctive aspect about it is that it created a de facto parliamentary opposition for the first time in a long while in Lebanon. Said oppositions consists primarily of March 14, which will have to restructure itself to perform this role effectively. I have little faith that this will actually happen, this being the flip-side of March 8’s inability to govern. Nevertheless, the success of both in playing those roles would represent a significant step forward for Lebanese politics which has been stuck for too long in the vicious cycle of consensual politics. Very well said. One for AD. - March XIV is a loose alliance of very distinct political structures with differing agendas that has failed to structure itself as a governing force when it held the helm of government. So it's quite unlikely that it would achieve the same result when ousted. 'Worried', thank you very much for your comment. Sadly, I tend to agree with you about March 14, they've proved that they're incapable of playing this role. But perhaps out of this current predicament, both sides will be forced to change their attitude. Your blog was a nice discovery, I will make sure to follow it. @Karl thanks for the compliment. I hope you will return to my blog and point out the points you disagree with. Your remarks here are though provoking, and I do need a lot of stimulus to wake up my sleepy cells. @Anonymous. your argument about Hezbollah's weapons reminds me of many arab radicals' argument about Israel. They too said that no progress could be done without the removal of one "obstacle", in their case Israel, and in your case "Hezbollah's weapons". I agree with you that Hezbollah presents quite an important challenge for Lebanon (not only its weapons), the same way Israel presents an important challenge for the Middle East. The sad truth about March XVI is that it wasn't able (and I believe never will be able) to rise to that challenge, in the same way the arab radicals (PLO, Baath, Nasserits...) were never able to rise to the challenge Israel presents. Lebanon has HUGE problems that have nothing to do with Hezbollah's weapons or Israel or Syria or Iran or Saudi Arabia... And unfortunately, March XIV was little interested in tackling them. I'm not sure the Free Patriotic Movement or its partners in the governing coalition are going to solve these problems either. They didn't do a good job in the earlier government and don't see why things will change in this one... We'll see.